We constantly read new stories realted to issues that cause practices to lose tremendous amounts of money, which sometesm results in personal or practice reputation. In some cases doctors lose their privilege to practice medicine because they failed to exercise proper oversight. As we start another year another year, it’s a perfect time to call in the kind of help a third party auditor can give. In each of these cases we recommend you spare no expense to obtain the best professional help possible. Health 1 encourages the following types of audits. Compliance Audit: Are you in compliance with all the contracts you signed and all applicable laws? That’s a big question that has many layers. Practices get in trouble with insurance companies because they have failed to adhere to the payor contract they signed – many of them signed several years past. A constant barrage of new laws to regulate every square inch of your practice needs to be analyzed and audited. Building and equipment leases often have little known consequences that your predecessor may not have been on the lookout for. A professional will sniff these out and protect your practice from known or unknown compliance issues. HIPPA Audit: There are HIPPA audits and then there are HIPPA audits. We dread them but they are a special kind of necessary protection, so don’t neglect them. You don’t want your practice to turn up on the wrong end of a violation. Find the best professional to turn over every rock. Nobody likes a HIPPA surprise. 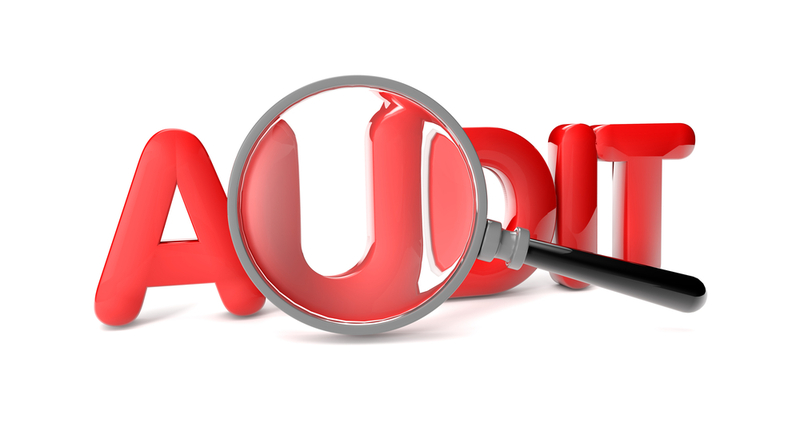 There are many other audits that could benefit your practice. However, finding the most appropriate ones shouldn’t happen in a crises when an audit is mandated by some outside enforcement agency. Audits should be planned for and undertaken on a regular basis when the pressure is off. Many practices don’t like the idea or the expense of a professional audit of their business. Audits are intrusive. Audits take time. Audits uncover errors. Audits can feel personal. And audits are the necessary cost of doing business properly. However A professional audit may uncover a ticking time bomb and save your practice a significant loss in money, reputation, and time. Today is the perfect time to begin a regular cycle of practice audits.